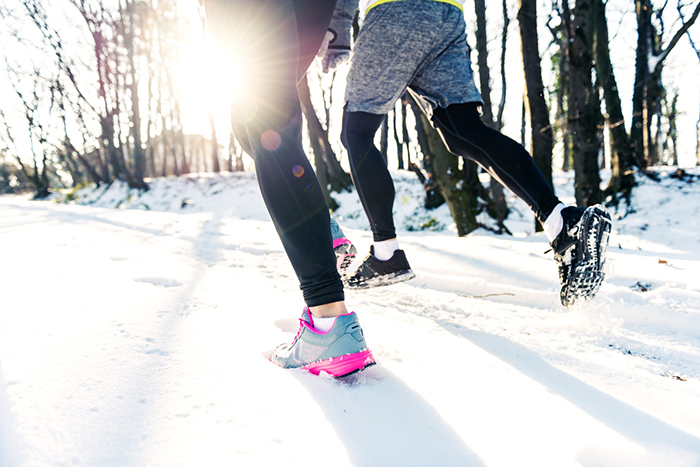 With the holidays behind us and New Year's resolutions looming over us, let's get real and take a hard look at the dreaded, yet avoidable, winter weight gain. Yup! It’s a common problem—people tend to pack on a few pounds during the winter months. We want to fight back and arm ourselves with a plan of action so that when the warm breezes start blowing in, we're looking damnnnnnn good! So, let's just dive in on ways to avoid packing on those pounds. The good, the bad…and the solution. Oh yes! Although winter weight gain varies from person to person, research shows the average person gains five to seven pounds...yikes! Some people gain this extra weight because they have Seasonal Affective Disorder—a type of winter depression. But most of us can’t blame winter depression for our tendency to pick up extra weight during the winter months. So, why does winter weight gain happen? According to Lawrence J. Cheskin, MD, founder and director of the Johns Hopkins Weight Management Center, it happens because we eat more and move less during the winter months. But it is good news because we can do something about it. We don’t have to greet spring with softer middles and tighter clothes. So let’s celebrate and walk into the New Year like a badass warrior and tackle winter weight gain with our weapon of choice: discipline. According to Merriam-Webster, discipline is a “rule or system of rules governing conduct or activity.” This is perfect. In order to fight winter weight gain, we have to discipline ourselves to follow some rules. 1. Banned language: For the next several weeks, do not allow yourself to say, “Just this once.” If you pay close attention, a ‘just this once’ situation comes up practically every day. You go to a party. It's aunt's sister's best friend's birthday dinner. You've had a bad week and a bag of chips will make you feel better. Your co-worker brings in leftovers from last night’s party. Your child doesn't finish their dinner or dessert. You have to say no every single time. Otherwise, you will never get ahead. Love the hot wings at your favorite restaurant? Then let’s make a deal. Eat clean for ten days. No cheating. And then at the end of those ten days, go have the wings. Guilt-free. Just enjoy them. Then set the next goal. But you are not allowed to deviate from your plan in the meantime. 3. Keep moving. Exercise is not an optional activity. Now, more than ever you have to get your body in motion. Exercise is very effective at preventing weight gain—and that is what we’re after right now. Don’t even worry so much about losing pounds; just work to keep the winter scale-creep from happening to you. Try to get some cardio in at least six days a week. Remember: a summer body is built in the winter. Let’s be ready for it, and leave winter weight gain where it belongs.....with Santa!